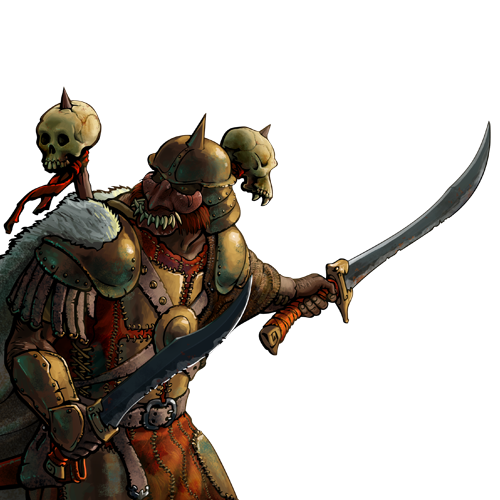 Unusually cunning orcs tend to find themselves as the leaders of warrior bands. They carry a crossbow out of necessity, but are much more skilled with the sword. These orcs are powerful fighters, but they also have a certain rapport with their kin, especially goblins, and can inspire them to fight with uncharacteristic boldness.